Thanks to the wonderful and generous support of the Reddit community we have installed our first campaign billboard. 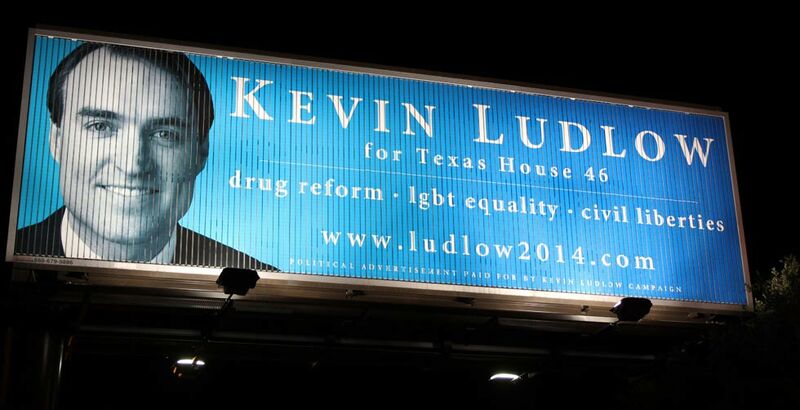 The billboard is located on the northbound side of IH35 just north of US290. The billboard is scheduled to be up for the remainder of the campaign season. Naturally we're hoping it drives people to the campaign's message of sensible drug policies, equality for the LGBT community, and a focus on civil liberties. Thank you to all of those who contributed to the campaign on April 24th and May 12th. We could not do this without your continued support!